I feel like I’m dragging on my production this month. Then again, that may be more of a fact than a “feeling”. Part of the reason for that is I am literally feeling drained thanks to a new endeavor I recently signed up for. Ever get in a rut with a hobby/pastime where that once enjoyable activity kind of loses a bit of its luster? Maybe it requires a tremendous amount of training just to be able to enjoy that moment in time, but now that training becomes more like work than the once buildup of excitement it brought when you were first starting on that journey. This is where I was starting to get with my running. The long training outings didn’t seem that bad thanks to being able to spend a few hours conversing with my fellow training buddies. Unfortunately, both of my partners in pain are out recovering from injuries making the long runs seem like.. well looong runs. Thought it was time to try something different – maybe get that spark back. Thanks to conversations with some co-workers, went ahead and committed to this “new” experience. I am going to leave the details until after next weekend (when the event occurs) in case it goes horribly wrong. What I can say, after two training sessions, it is much harder than I realized yet everyone that I encounter must be wondering why there is such a big smile on my face behind all that sweat. I can’t wait to see how this new experience turns out – wish me luck! 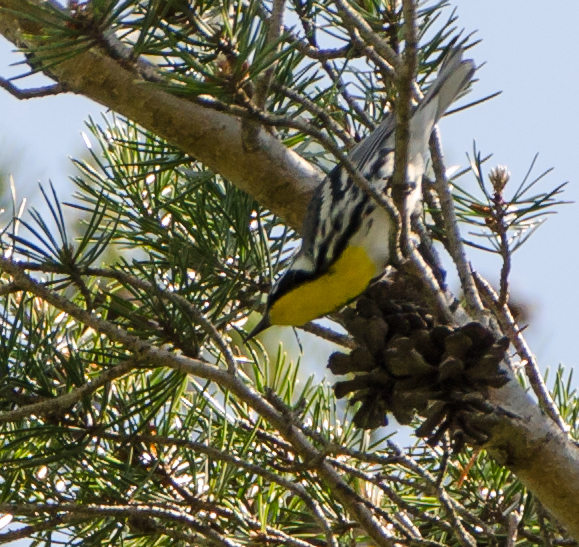 UPDATE: Turns out I already featured this Warbler from my Georgia trip – apparently forgot to check it off my list: That first encounter is actually here. I’m just going to go ahead and assume that Texas was bouncing around your cranium long before you got through that sentence. 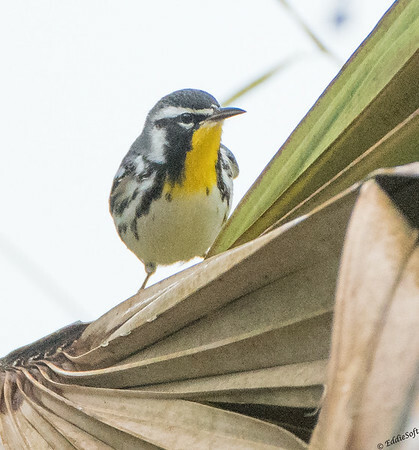 Yes, this is another new check from our birding trip to the Gulf Coast and along the Rio Grande Valley region back in December 2017. 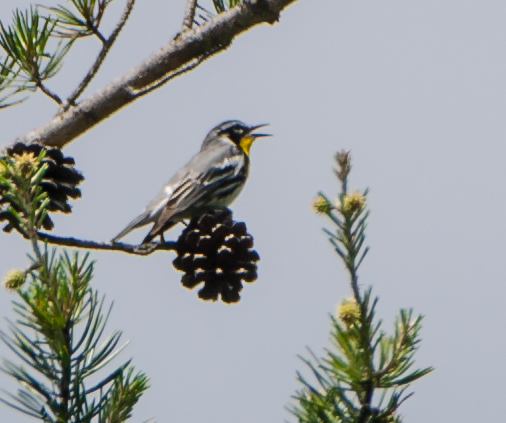 More specifically, this Yellow-Throated Warbler was spotted at Sabal Palm Sanctuary on New Year’s Eve. I posted previously on the surreal experience while visiting this sanctuary (link here). Still gives me an uncomfortable feeling when I recall it due to being the ONLY ones there. 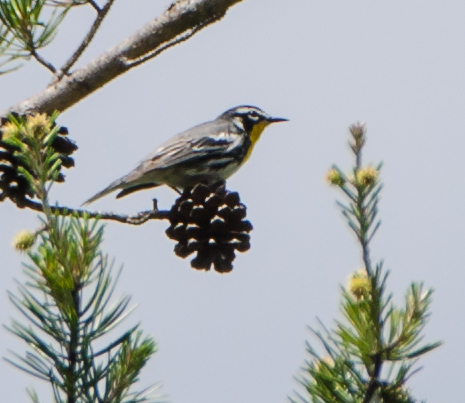 Definitely worth it though, since two new species made it onto my list – the Ladder-Backed Woodpecker and this much smaller warbler. Hit the jump to see the only other image that made it into the tin.